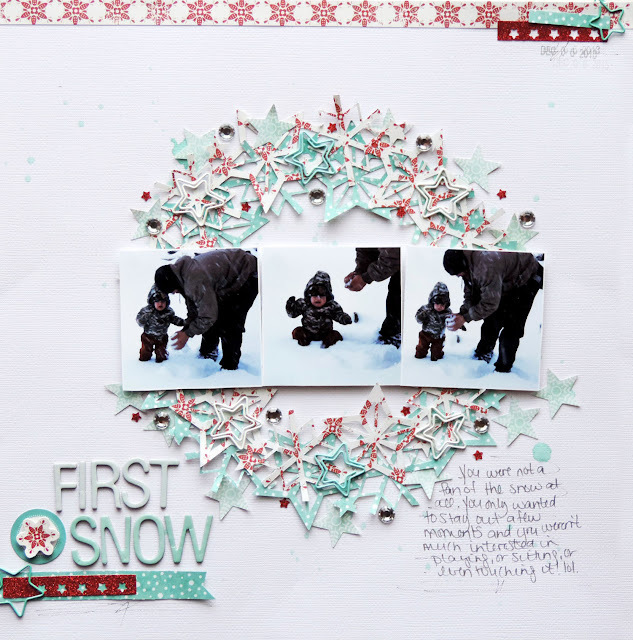 Random Sweetness: First Snow and first Imaginisce layout!!! Hi everyone!! Today I am sharing my first official Imaginisce design team layout with you all. Our assignment was to make a "winter" layout...the challenge? Imaginisce doesn't have a "winter" collection! I think I was able to put together a pretty cute not Christmas, winter themed layout using a Christmas collection! 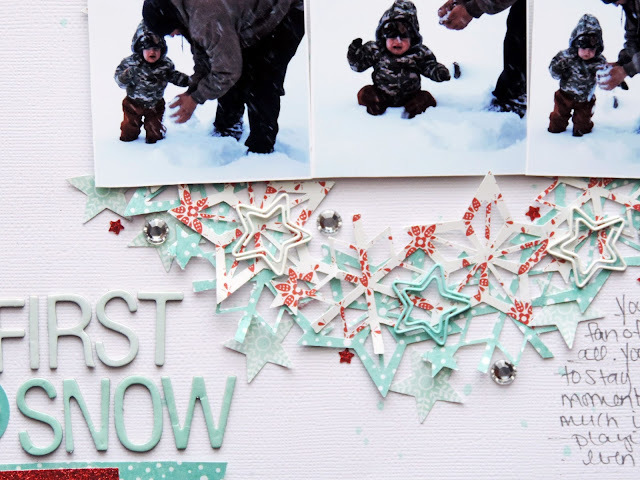 I had these pictures of our baby boy and his first snow experience. As you can see, he was not a happy camper, lol. Since my photos were slightly darker with his and my husbands clothing, I wanted to keep my layout light and fun. I found this great snowflake wreath in the silhouette store, and knew I wanted to use it to "house" my photos. Then from there I simply started layering on items in the similar color scheme. 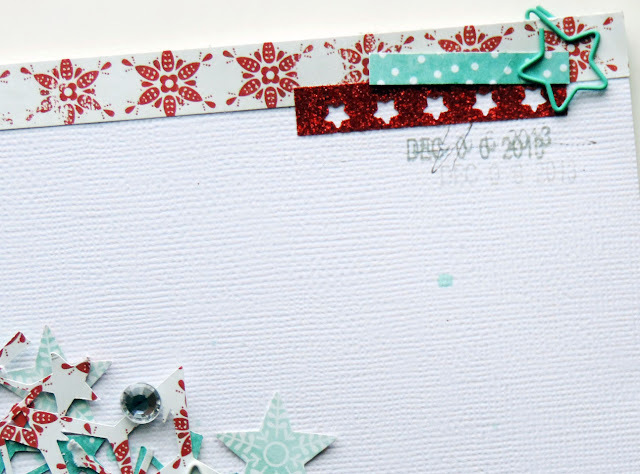 Using the knock out star border punch from American Crafts and some red glitter tape. I was able to add in just a little more of that pop of red. Then I used the negative border to add some interest and more color to the top and bottom of my layout. 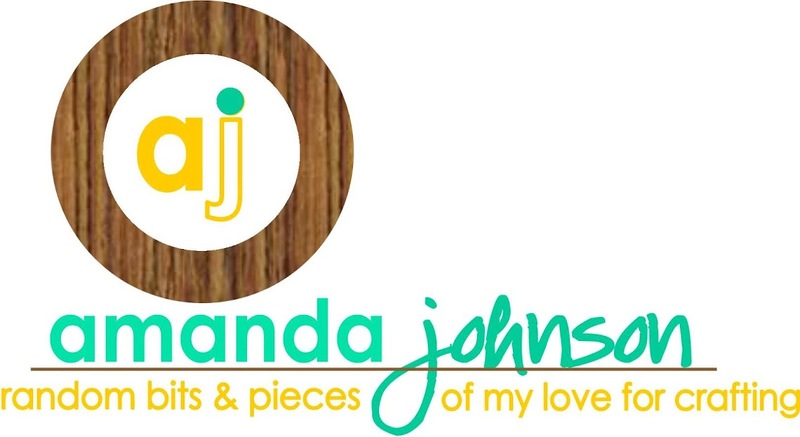 A little out of the norm for me...hello, white cardstock background!! lol! I love it though, and it has exactly the soft look of winter that I was hoping for! Hope you all have a great day, and take time to create something you love!! That star wreath is wonderful! LOVE how you mixed in the paperclips too!